Naruto X Boruto Ninja Voltage Is Now Available For Android On Google Play Store. The Game Has Been Released Today – – Finally Arrived! 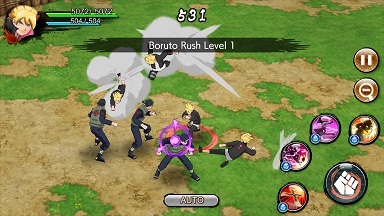 Game Info – Naruto X Boruto Ninja Voltage Is A New Action/Strategy/Role Playing Game By Bandai Namco Entertainment Inc.
Online Multiplayer Mode Is Also Available. Team Up With Up To 4 Players And Defeat Enemies. Initial Ratings – It Seems To Be Game Service Has Issue[Servers Are Not Ready Yet]. A Message Appears – “Service Are Preparing”, “Service Under Preparation”. Most Of Them Gave 1 Star. Size – 92 MB, Price – Free. Download – Here[Google Play Store].